Gwyneth Paltrow - The HOT PINK feather earrings really stand out! LOVE THIS! Vanessa Hudgens - The longer, the LOUDER, the better! Lauren Conrad - Peacock Feathers for an elegant touch! Love it! very much tempted to make my own version of feather earrings. Unfortunately, great ideas that are not worked on become distant dreams. I didn't push through with making my own. But I did end up finding some stores online and places where you can physically visit to get your hands on some of these fine feather accessories! Get it for 300 pesos! One of the first stores that I saw super cool accessories is from the STYLE PRODIGY SHOP which is owned by Izza, the sister of one of my favorite beauty bloggers, Say Artillero. Her unique creations are not only lovely but outstanding! I saw several feather ear cuffs worn by Say herself in one of her vlogs and it really stands out! I love how chic, trendy, and so feminine she looks when she wore the ear cuffs. Watch her latest vlog on How To Apply Eyelashes and check out those feather darlings as well. 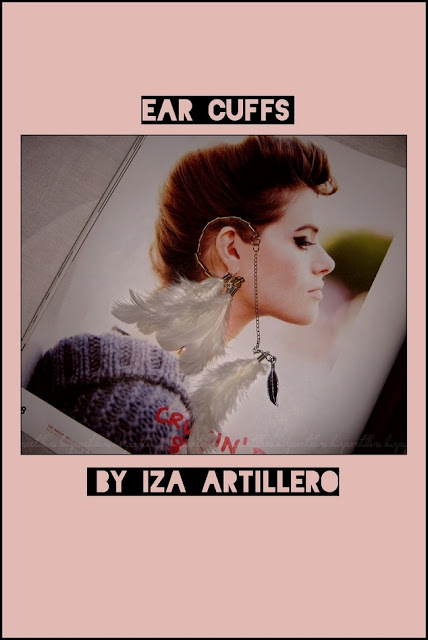 Visit Ear Cuffs by Izza Artilllero to check out the other styles available and prices. 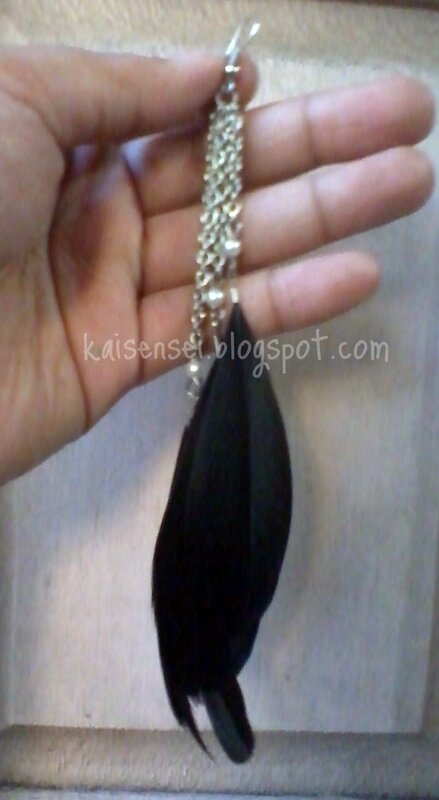 Trendy and Stylish BLACK Feather Earrings from MIC SM Accessories at Php 199. When I saw this at SM Accessories department, I just knew I had to get one! AND I DID! Many thanks to SM because I was able to use one of my GCs that I got from SM ACCESSORIES (THANK YOU!) and I did some Accessory shopping (which I blogged about here) during the Great Northern Sale at SM City North Edsa. The brand is actually called "M.I.C. - Make It Complete". So far the only colors that I saw were just black and white. They had two different styles for the black feather earrings so I had to choose which one best suits me. So this is what I chose. As for the price, it is quite affordable. You can purchase your own feather earrings for as low as Php 199. Word of caution though, check each feather carefully for any defects before making actual purchase. 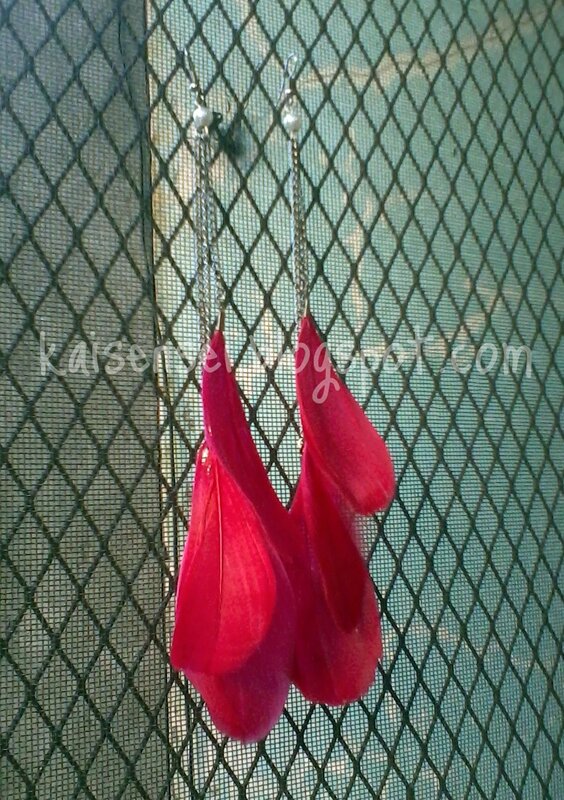 Wonderfully Shocking Fuchsia Feather Earrings by Girl Shoppe at Php 130 ONLY! As an accessory lover, one of the shops that I often check out for new, chic, and very affordable accessories is GIRL SHOPPE. Most of my rings came from there! Plus, I also happen to pass by 2 branches of Girl Shoppe on my way home from work - its my route during my train hopping/mall shopping adventures before I arrive home. This fuchsia feather earrings caught my attention at their window display on a mannequin. When I found out that they only had THAT as its only pair of Fuchsia Feather Earrings, I immediately had it removed from the mannequin! I didn't care, those last pair of cute feather earrings were meant for me! Plus its super affordable at ONLY Php 130! Winner sa price diba? Feathery Purple Cuteness! I SUPER LOVE THIS! WINNER ang price! ONLY Php 100!!!! Also, I had a chance to meet Ana in person. She's super nice and friendly. I'm really glad to have met her! Do you know that she appeared on TV as well? She was featured on ANC's Shop Talk just this month! Oh diba! 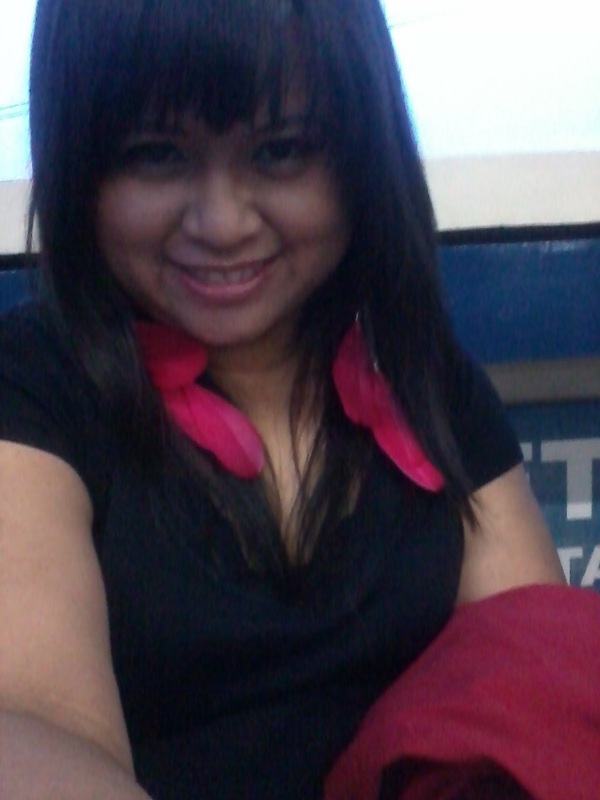 Please do check out her Anagon Collection Multiply Store and her blog, The Fashionista Commuter. So there you have it! My pick of 4 stores that can stave your hunger for your feather earring fix! Now as to HOW or WHEN to wear your feather earrings, why not read this very helpful "How To" article at Euphoria Online by a dear blogger friend, AVA, from artsyfartsyava.blogspot.com. She gave very helpful tips on how to wear your feather earrings properly. Visit Euphoria Online to check out her article there. My Gwyneth Paltrow Feathered Earring Peg. So coffeeholics, do you have feathered accessories na? Are you IN the trend? Or do you don't like it at all? Let me know your thoughts!